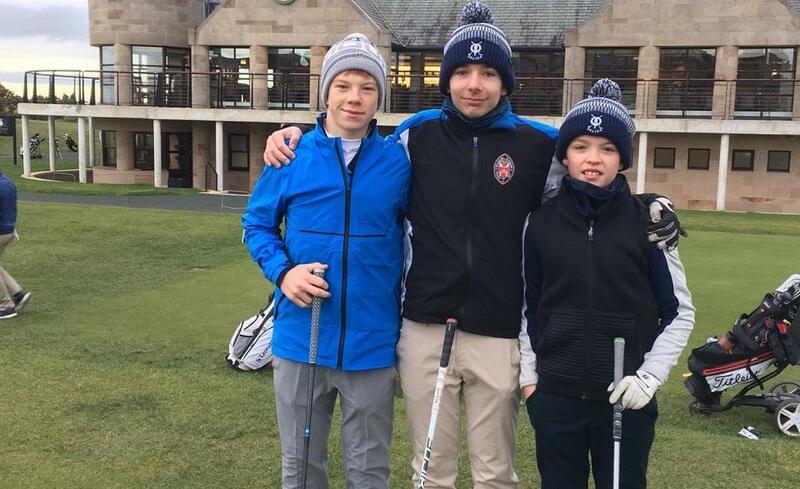 St Leonards and SALJGA (St Andrews Links Junior Golf Academy) golfers played Blairgowrie on the New Course in St Andrews on Sunday, 13 January in the first leg of their match, which took the format of best five Stableford scores out of six players. Going into the second leg, which will be held at Blairgowrie Golf Club in May, the team scores saw St Leonards in second place with 132 points. Blairgowrie had 139 points, and SALJGA 126 points. Well done to St Leonards captain Ellen Caton, and our golfers Jack Headon, Ewen Farquhar, Aidan Sutton, Tom Goniwiecha, Konstantin Gaissert and Karla Klostermann! We wish them the best of luck for their away game in May.